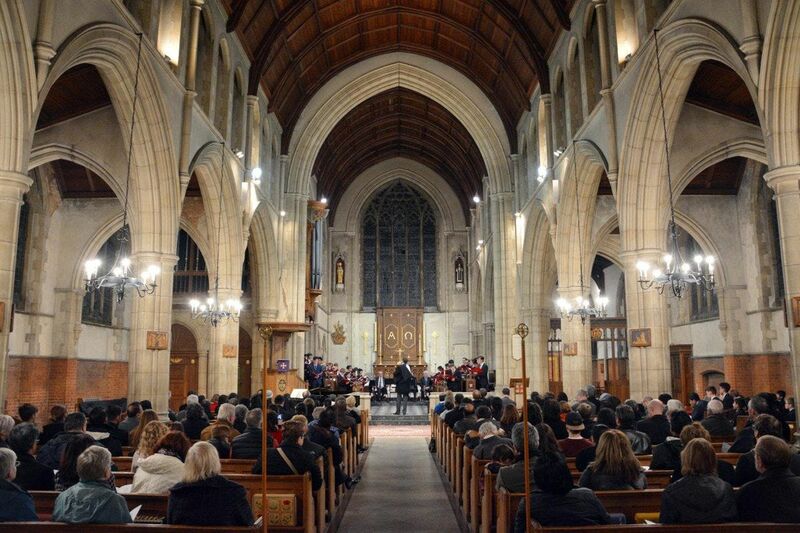 The Harrow Music Festival 2019 will be taking place at both the beautiful St George’s Church and St George’s Hall, which face one another across Pinner View, Harrow. 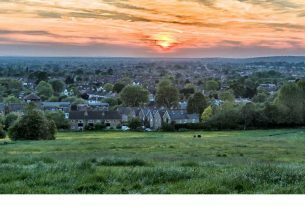 The festival will start from 21st April and last until St George’s Day, 23rd April 2019. Tickets are available now! The elegant church’s acoustic is ideally suited to music, whether solo or choral singing, the Steinway D, or the building’s 1915 three-manual Rothwell pipe organ – included in the British Institute of Organ Studies’ register of historic instruments of importance to the national heritage. 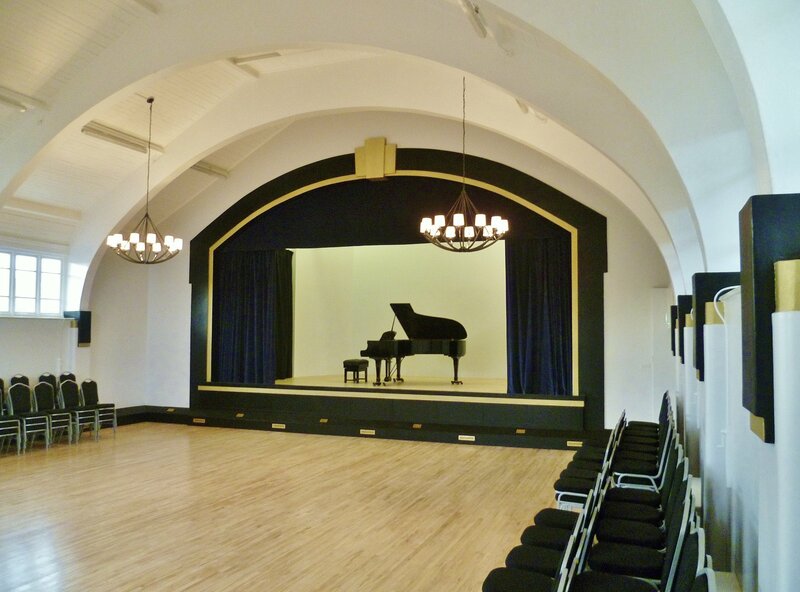 The acoustic of St George’s Art Deco auditorium is also excellent and well accommodates the stage’s Yamaha S6 grand piano – a favourite of jazz pianists. 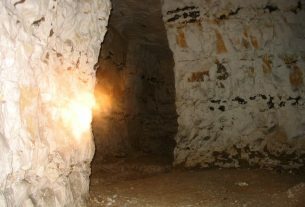 Festal Evensong Easter Sunday, 21 April, 6.30 pm, St George’s Church, HA1 4RJ. Sung by St George’s Camerata, the church’s professional and scholarship octet, Director of Music: Huw Jones MA FRCO. 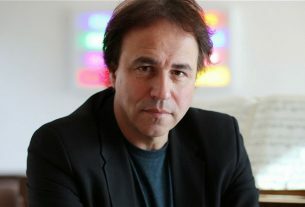 Brandyn Shaw and his ‘Radio’ Rhythm Makers Bank Holiday Monday, 22 April, 7.30 pm, St George’s Hall, HA1 4RJ . Brandyn Shaw and his band recreate and celebrate the glamour, elegance and verve of the Golden Era of British dance bands. 18s and under free when accompanied by a paying adult. 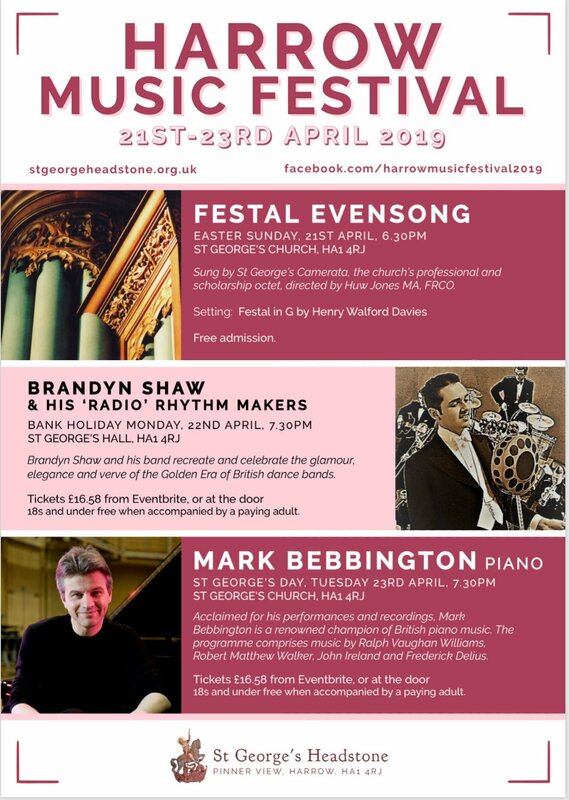 Mark Bebbington St George’s Day, 23 April, 7.30 pm, St George’s Church, HA1 4RJ.